Earlier this month, three-time U.S. champion Ashley Wagner ended a ten year drought and became the first U.S. lady to win a World medal at the World Championships since Kimmie Meissner won her World title in 2006. Two weeks later, the 2016 World silver medalist has yet to take a break. Since her memorable free skate in Boston, Wagner admits she hasn’t even had the opportunity to think back to what happened. “Since I got off the ice in Boston, I haven’t stopped so I really haven’t had a second to step back and soak in what happened,” she said when thinking about her life since Boston. But Wagner will be reminded of just what she accomplished when her name is announced before she skates each night in the 30th anniversary tour of Stars on Ice. “I think this (tour) will be a great opportunity. I mean hearing my name and hearing I’m a World silver medalist is going to be so surreal,” Wagner said before the 2016 Stars on Ice tour, titled #E-motion, kicked off April 15 in Hershey, PA. The show stars 2014 Olympic gold medalists Meryl Davis and Charlie White and, along with Wagner, features several members of the 2016 U.S. World team, including 2016 World silver medalists Maia Shibutani & Alex Shibutani, 2016 World bronze medalists Madison Chock & Evan Bates, and 2016 U.S. champions Gracie Gold and Adam Rippon. Rounding out the cast are four-time U.S. champion Jeremy Abbott, 2011 U.S. champion Ryan Bradley, and two-time U.S. silver medalist Polina Edmunds. The U.S. tour will have a limited run, only making stops in six cities–Hershey, PA; Portland, ME; Chicago, IL; St. Paul, MN; Anaheim, CA; and San Jose, CA. The cities for the U.S. tour were chosen based on previous ticket sales. Prior to joining the cast, immediately after Boston, Wagner returned home to California where she learned her new show program, “Dangerous Woman” by Ariana Grande. The program was choreographed by fellow 2014 Olympian and friend, Jeremy Abbott. While in California, Wagner says she also did some training. Just last week, Wagner learned that she was the fans’ choice for the inaugural Team Challenge Cup in Spokane, Washington, April 22-24, meaning her competitive season has been extended. Following a few days in California, Wagner then flew out to New York City, along with Adam Rippon and Maia and Alex Shibutani, to attend the Figure Skating in Harlem Gala in which Meryl Davis and Charlie White were honored on April 11. 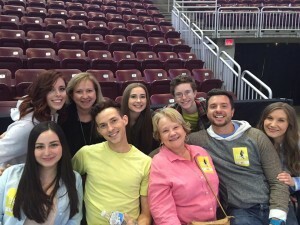 Immediately following the event, the six of them joined the rest of their Stars on Ice castmates in Hershey to begin rehearsals for the show. Like his training-mate and best friend Wagner, 2016 U.S. Champion Adam Rippon has also barely had any time to relax following one of the best seasons of his career. 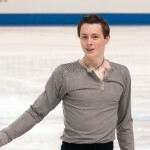 After winning his first U.S. title in January at the age of 26, Rippon had a scintillating fourth place free skate to finish in sixth place overall at the World Championships. 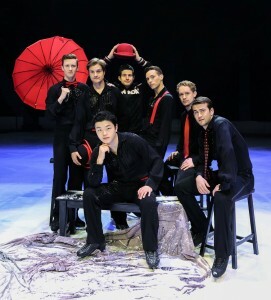 Now Rippon will join the cast of Stars on Ice, his first-time as a regular cast-member of the show. “It has been a whirlwind and being on tour is definitely a dream come true for me,” Rippon said. Rippon’s first show also was special because it was a homecoming of sorts. Rippon grew up in Clarks Summit, PA, which is about a two-hour drive from Hershey. Rippon’s family and friends made the drive to see him in his tour debut. In the show, Rippon will skate two individual numbers.”O” by Coldplay, a program choreographed by Benji Schwimmer, as well as selections from his Beatles medley free skate. Like Wagner, Rippon was also named the fans’ choice for the inaugural Team Challenge Cup. 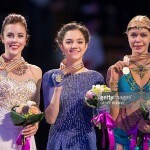 The International Skating Union event features 42 of the top figure skaters in world, who will be competing in a continental team competition. The continents are Team North America, Team Europe and Team Asia. Each team will be captained by a figure skating legend. They will not skate, but instead, select skaters and determine a team strategy. Team North America will be captained by 1992 Olympic champion Kristi Yamaguchi. Along with Wagner and Rippon, fellow Stars on Ice cast-members Gold and Chock and Bates will be competing in the event. The rest of Team North America consists of 2015 U.S. champions Jason Brown and Alexa Scimeca and Chris Knierim, along with two-time World champions Meagan Duhamel and Eric Radford of Canada, 2015 Canadian champions Gabrielle Daleman and Nam Nguyen, and two-time World medalists and Canadian champions Kaitlyn Weaver and Andrew Poje. Both Wagner and Rippon admit the competition is new territory for them. They say they don’t know what to expect and admit they are not exactly sure of the rules, but both are excited about the opportunity to compete. “I’m so excited that I was voted on to the team. I have done my best to train while doing rehearsals. It has been really difficult. I’m still really excited to compete again,” Rippon said. Once Team Cup Challenge is over, Wagner and Rippon will re-join the tour, which will resume April 29 in Chicago. After the tour wraps up May 8, Wagner and Rippon will take some time off, but say they will then head back to the rink and start working on next season. While they have been away from the training rink on tour, both say they have been in contact with their coach, Rafael Arutyunyan, and have already started thinking about the upcoming season. “I’m always thinking ahead and trying to get a plan together. I have been in contact with Rafael and the different choreographers that we want to work with and I’m really excited to get started,” said Rippon. Wagner says she has already starting thinking about next season just because the off-season is so short. While she is still trying to figure out what she wants to do for her short program, Wagner says she has already been in touch with Shae-Lynn Bourne about what she wants to skate with for her free skate. Bourne choreographed both Wagner’s “Hip Hip Chin Chin” short program and “Moulin Rouge free skate.